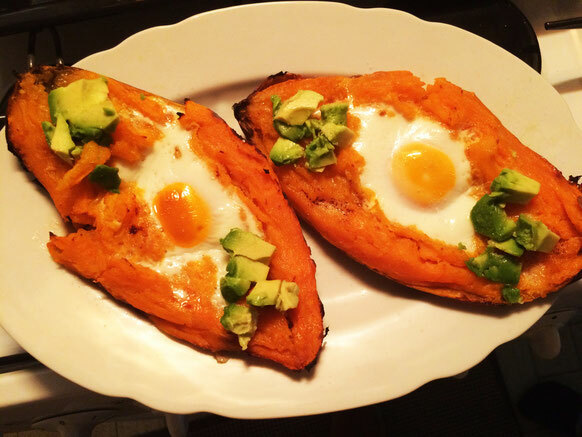 here is another amazing breakfast recipe with sweet potato, eggs and avocado. While we were in Croatia on holidays with my parents after a tour with Puttin on the Ritz i really felt like creating. As you can see....everyday a different food recipe. 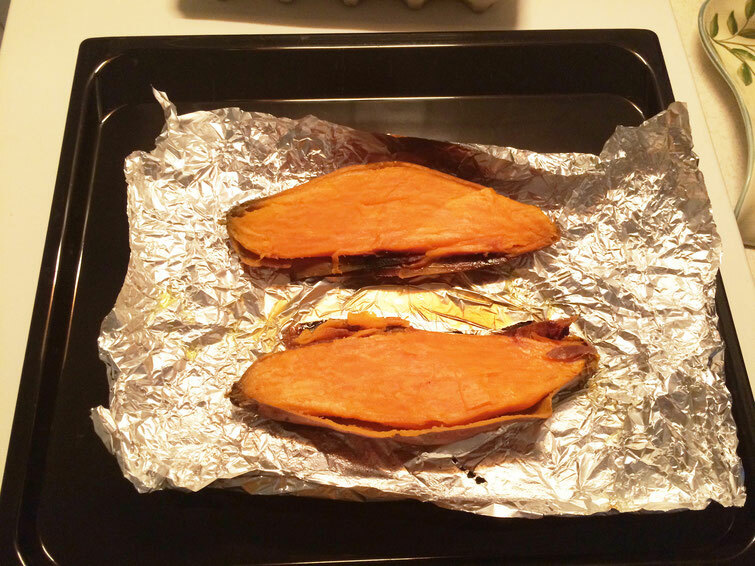 Put the potato wrapped in the aluminium foil for an hour on 180 Celsius. After take it out and cut it in half. 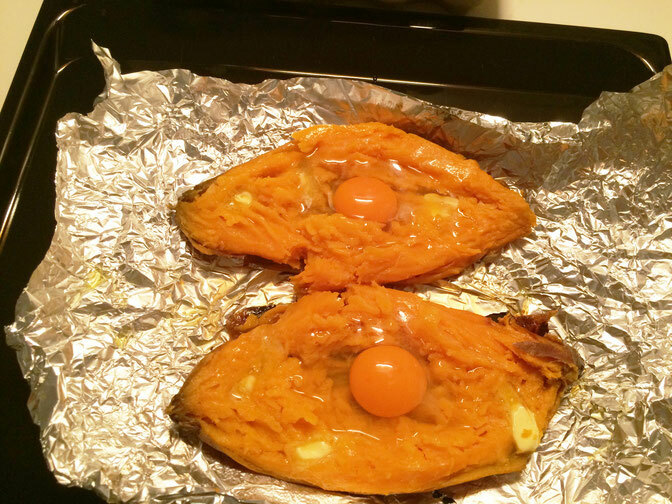 Mash the inside of the baked potato with butter if you like and make a little hole where you crack the egg and put it back in the oven for the egg to cook.